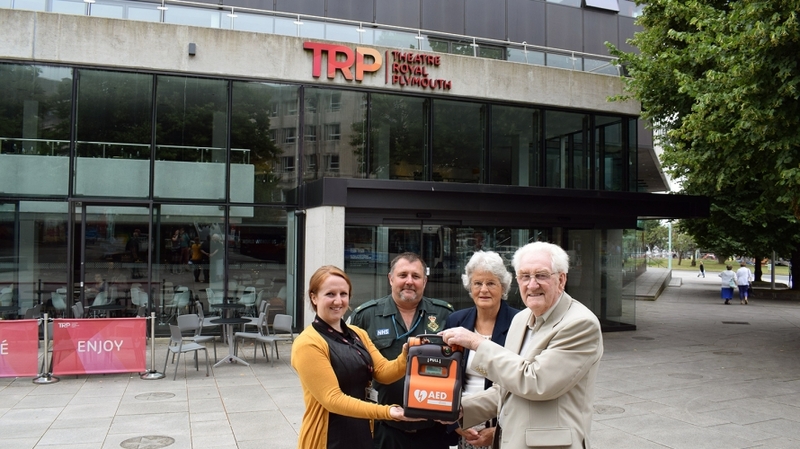 Thanks to the generosity of a cardiac arrest survivor, Theatre Royal Plymouth will now have its own defibrillator. Local man Alan Davies collapsed in cardiac arrest while shopping with his wife Glenda in Plymouth city centre back in December 2013. Alan was saved after a member of the public carried out CPR almost immediately after his collapse before an ambulance crew arrived promptly on scene and continued his treatment before he was taken to hospital. Alan got in touch with the ambulance service after seeing an article published in the local paper about the importance of defibrillators. His extremely generous donation means that there is another available for local residents in the area and Theatre goers alike. The device will be accessible to all and based in the public Box Office area of the Theatre and a familiarisation session provided for staff.